dating websites embarrassing plus belle la vie rencontre thomas et nicolas link read more dating sites in new delhi site rencontre gratuit 86 top ten dating site in india http://www.lexiquedumanagement.com/milkivay/5950 site de rencontre gratuit et international cherche femme marocaine en france WE NEED TO RESPECT THE OCEANS AND TAKE CARE OF THEM AS IF OUR LIVES DEPENDED ON IT. High quality feed and grown in pristine a environment. MSC Certified. No Detectable Mercury. Non-GMO. Antibiotic-Free. No Hormones. 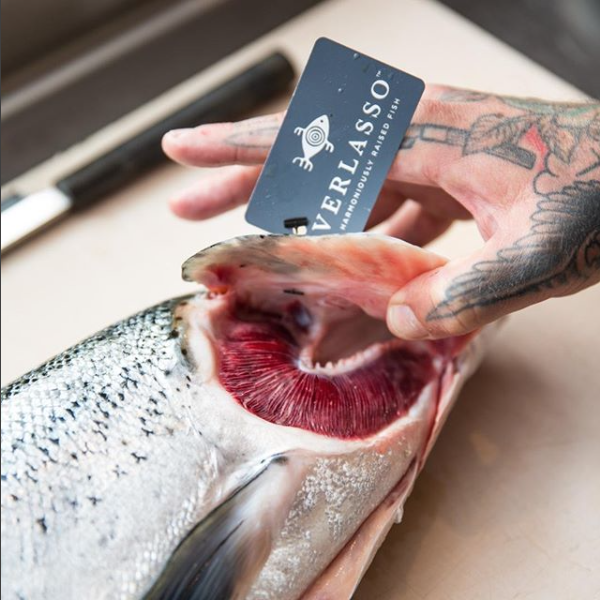 Founded by Chefs, lifelong Pacific Ocean connected watermen and multigenerational fishermen now dedicated to living in harmony with our local seas. 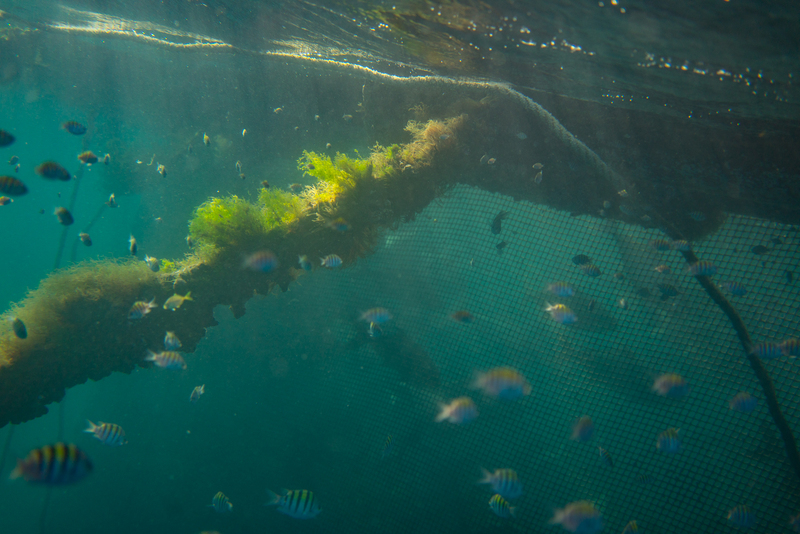 Acting as ambassadors for the oceans we care deeply for is our means of protecting what matters to us and our families for generations to come. 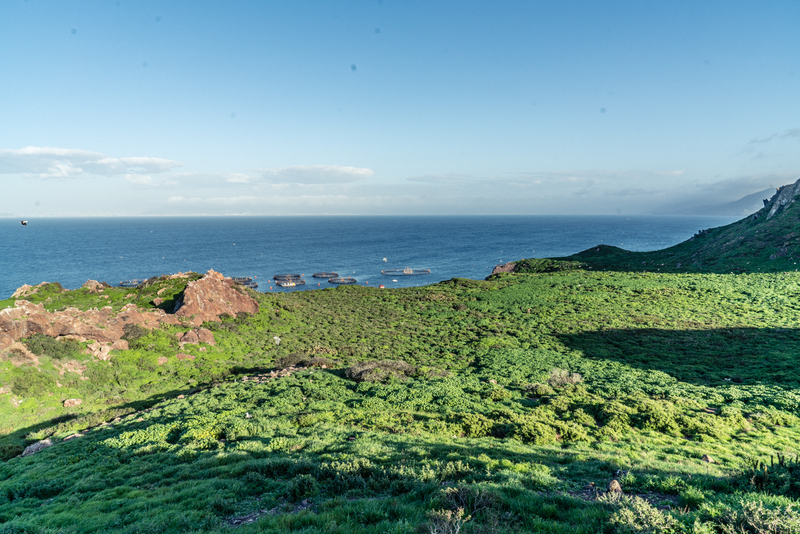 Prioritizing quality over quantity, we strive to work symbiotically with the ocean. 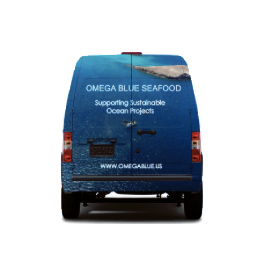 Omega Blue Seafood started out as a vertically integrated distributor providing artisanally farmed Baja Kanpachi, harvested to order, directly to the best farm-to-table restaurants in North America. 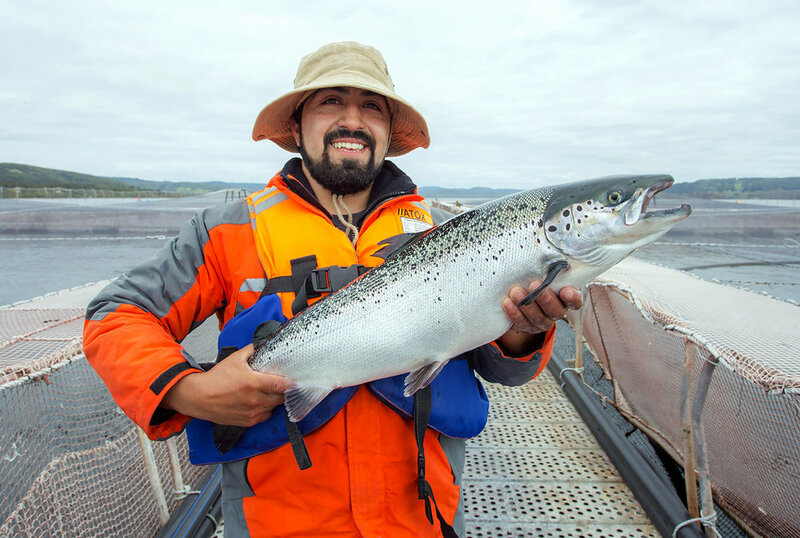 We’ve prided ourselves as pioneers of Farm-to-Table ocean-raised fish using innovative open-ocean aquaculture under the brands OmegaBlue in the USA and OmegaAzul in Mexico. 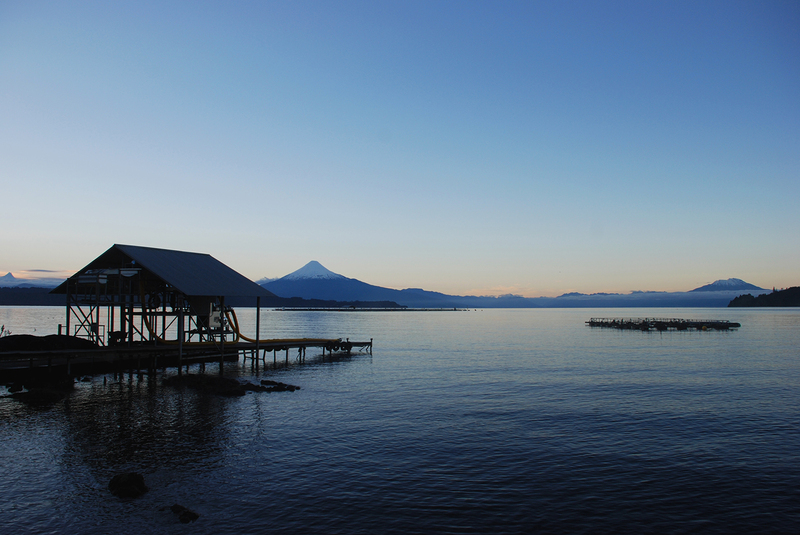 As the Farm-to-Table movement has grown, we’ve allied with other sustainable mariculture farms. 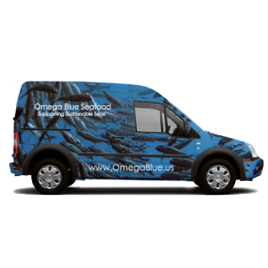 Today Omega Blue Seafood is a leading specialty distributor serving a growing roster of farm-to-table restaurants and hotels. 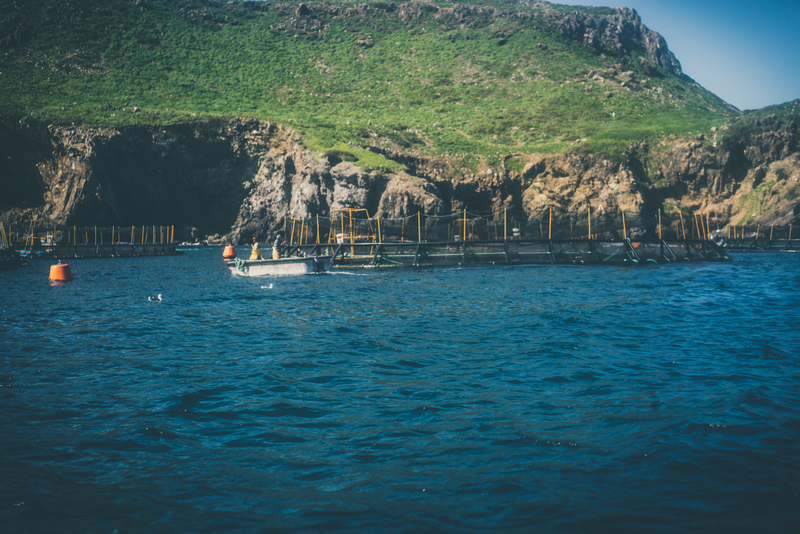 Changing our relationship with the ocean through the direct support of net positive aquaculture farms and artisan fisheries in pristine environments, these are the farmers and fishermen we trust. 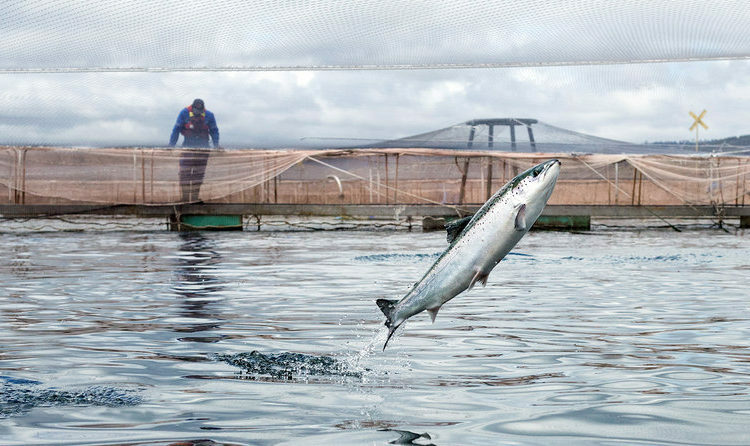 We know first hand that not all farms are equal and not all wild-caught seafood is sustainable. In an era of over-fishing, global warming and plastic pollution, if we are going to consume seafood, we have to be throughly informed about the where it comes from, what it ate, how it was raised, and how and when it was harvested. 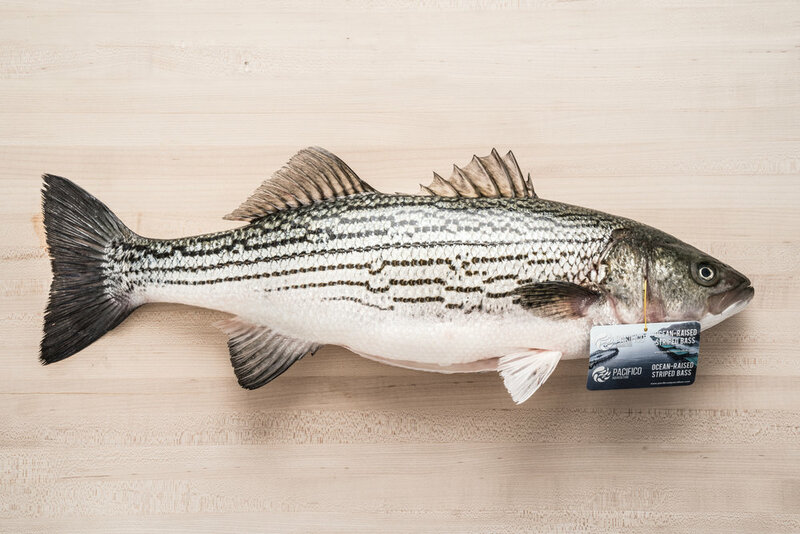 These are the all-stars of the seafood world making a net-positive impact on the ocean. Direct from the farm to restaurant distribution with consistent, year round availability. 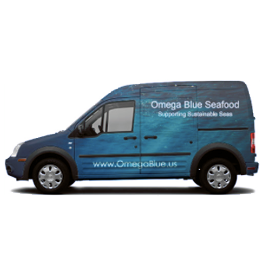 Currently 4 days per week we delivery whole fresh fish. No middlemen, no reseller markup. Our refrigerated van is on the road every morning before the sunrise to ensure prompt delivery to our restaurant clients throughout Southern California. Seriola Rivoliana, also known as the Almaco Jack or Pez Fuerte, is a species of fish found throughout the warm waters of the Pacific Ocean. 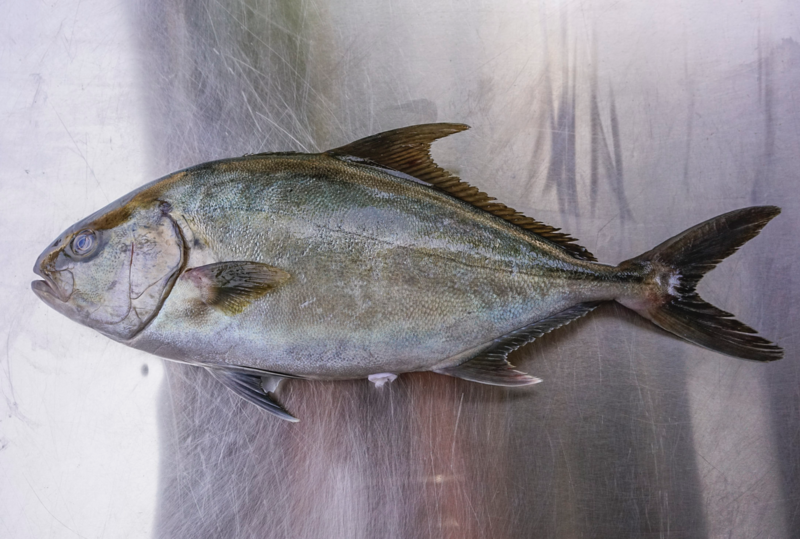 Our Baja Kampachi are grown from the eggs of less than 100 local wild-caught fish in the crystal clear tropical waters of La Paz, Baja California. We never use antibiotics or terrestrial proteins. No antibiotics are used in the process of feeding or growing our fish. 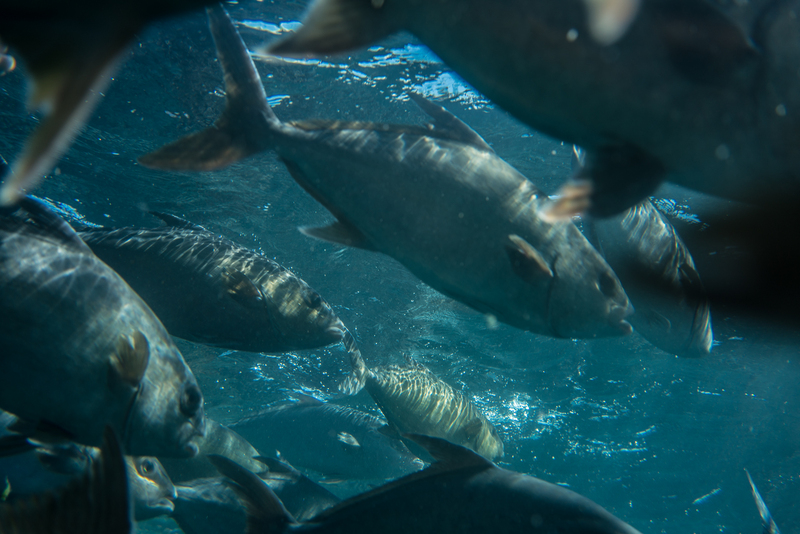 While it has become common practice for industrial scale operations to use antibiotics in the feed, the Omega Blue Standard is low-density farming in deep-water grow-out sites with high quality feed and antibiotic free. Our farm partners endeavor to follow a pasture-raised model of farming whereby we prioritize the quality of nutrition, cleanliness and open-space. Keep it natural. 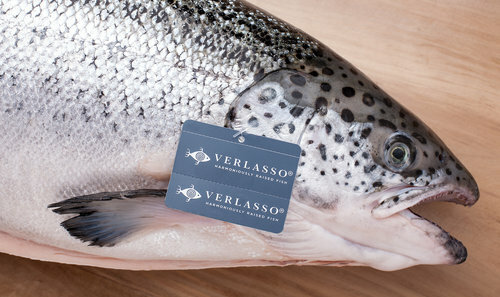 All of our sustainably farmed fish are 100% non-GMO and fed a completely NON-GMO diet. There is no genetic tampering. Worldwide demand for seafood is increasing and aquaculture is a highly efficient use of the marine environment. As most fish are cold blooded and virtually weightless in the water, fish can be highly efficient at converting feed into protein. The global population is projected to reach 9 billion by 2050, thus approximately 50% more food will be needed to sustain the current quality of human life. 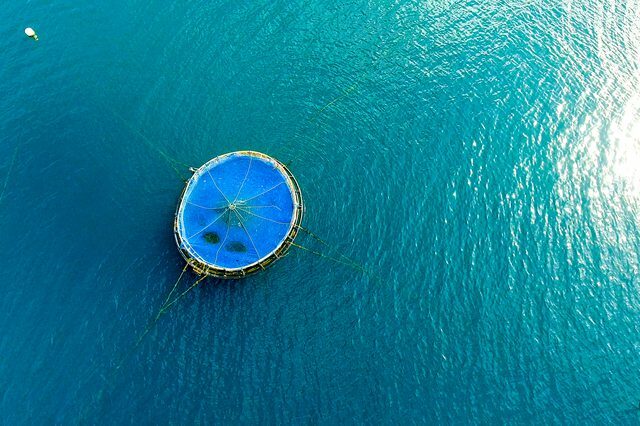 Fortunately, global aquaculture production has been increasing to meet this demand. 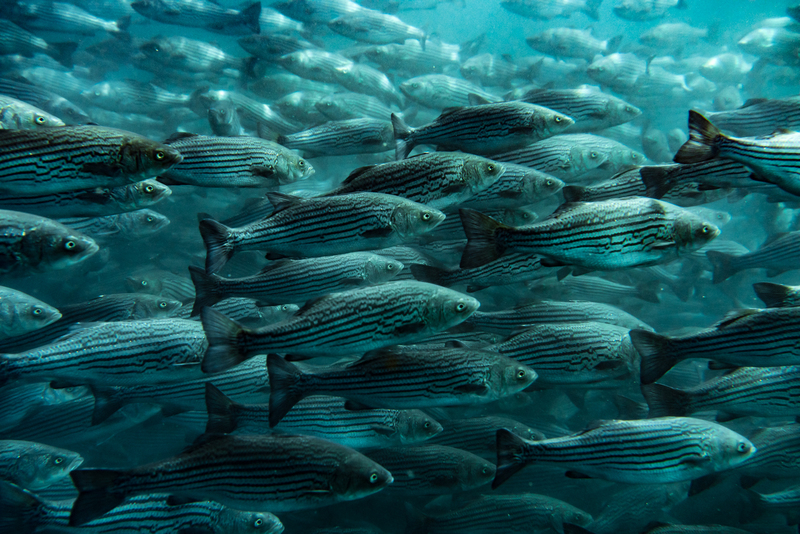 If properly managed, aquaculture can become one of the most reliable sources for safe and nutritious seafood while mitigating pressure on often over fished wild stock populations. 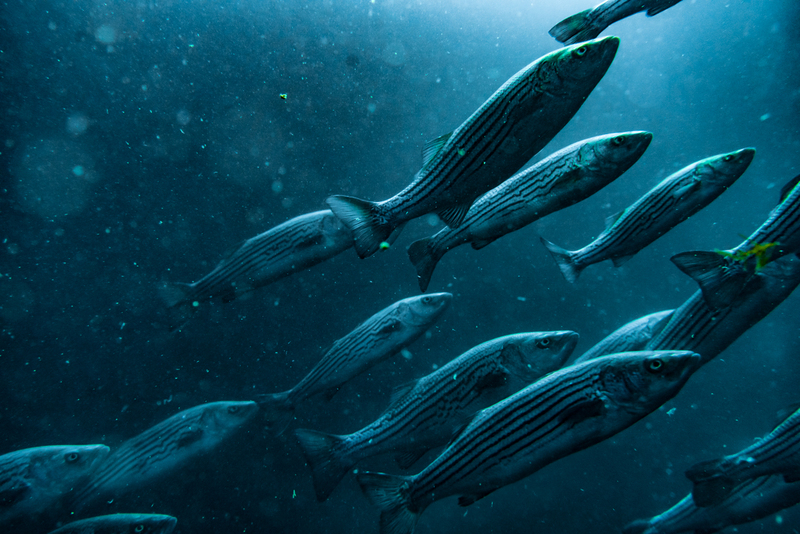 As a Company and as individuals, we firmly believe that it falls to us to prove the “sustainable aquaculture” model in order to help preserve the environment for future generations.